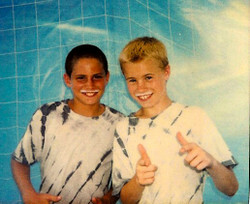 ...they were little boys playing in the local Got Milk tournament. Now, they're still the best of friends, old veterans of the game, flying to Spain today to play in an international tournament. By themselves. Together. Please pray for their safety and their success.